It was the fourth straight trial prosecutors failed to win in the case. 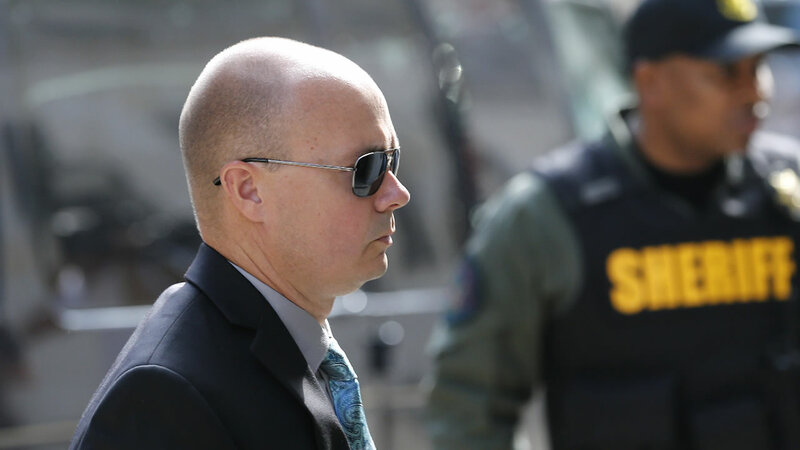 Lt. Brian Rice, the highest-ranking of six officers charged, faced charges of involuntary manslaughter, reckless endangerment and misconduct in office. Williams previously dismissed a second-degree assault charge, and prosecutors dropped a second misconduct charge against the 42-year-old officer, who is white. Gray's death in 2015 became a rallying cry for the Black Lives Matter movement, fueling outrage nationwide over the treatment of black people by the criminal justice system and prompting the worst rioting the city had seen in decades. But the case hasn't fit quite so neatly into the narrative of white authorities imposing unfair justice on minorities. In this case, three of the officers charge are white and three are black. The victim, judge, top prosecutor and mayor are African-American. At the time of Gray's death, so was the police chief. Gray was arrested after he ran from police officers in a high-crime area of the city. He was handcuffed and later shackled and placed on his stomach in the back of the police van. But officers did not buckle him in, which is the department's policy. Gray died a week after his arrest. "I'm disgusted, as usual, and they're sending a daily message all across the world that our lives don't matter, and that's sad," said Tawanda Jones said outside the courthouse. She was there marking the third anniversary of her brother's death in a separate case involving Baltimore police. "We're more than hashtags and body bags," she added. After four trials and no convictions, it's increasingly clear that the evidence against six Baltimore police officers is too weak to sustain the hopes of citizens desperate for reform.